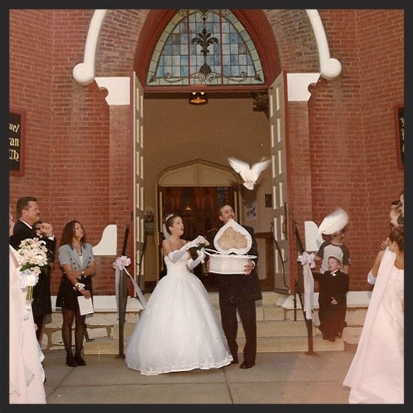 "We don't remember the day, we remember the moment"
We are the Premier White Dove Release Company in St. Louis. For the last 17 years we have been providing professional dove releases for the St. Louis area. EXPERIENCE MATTERS. Perfect for Weddings, Funerals, Memorial’s, Birthdays Parties, Veteran Memorial Services or ANY OCCASION! Releasing white doves has been a tradition throughout the world for centuries. We want to create a beautiful memory of the moment for you, your family and friends that will last a lifetime. As you and your guests watch these magnificent creatures ascend into the sky, it will create the lasting memory (moment) for all to enjoy. The Release of Doves is a special way to remember loved one who have passed on. It is a personal touch to your loved ones memorial service that will remain in your memory forever. Check your distance from our headquarters to see if we can help make your special occasion even more unforgettable. View our Frequently Asked Questions to get additional information on our company and dove release services. Read important information on deposits, payments, cancellations, weather policies and more. "Oh that I had wings like a dove, for then I would fly away and be at rest." We have pure white doves for release at Funerals and memorial services. 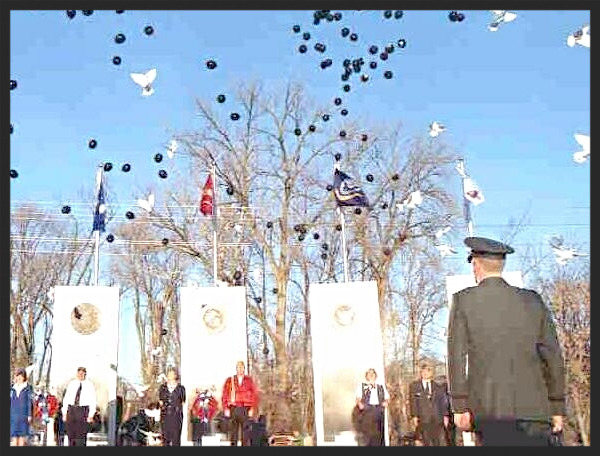 A Graveside service with a ceremonial white dove's release creates a beautiful way to say good-byes to the departed. The symbolism allows for a release of emotion at these mournful times by family and friends. Doves mate for life and symbolize Love, Fidelity, Prosperity, Unity and Peace. 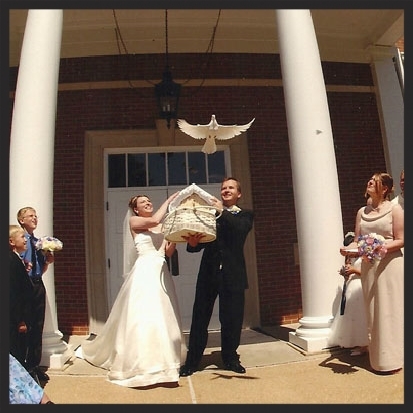 A Show Me Dove release is a symbolic and beautiful addition to any wedding. Show Me Doves provides beautiful, Snow White Doves to add a special touch of magic and elegance for your wedding or any special occasion! Our goal is to make your Wedding Day as memorable and unique as possible by providing the most professional of service. Our professional staff will work with you, your coordinator, and photographer and/or video photographer to ensure the placement and timing of the release. Two (2) to fifty (50 +) white doves can be released. We have several poems to choose from that could be read if desired. 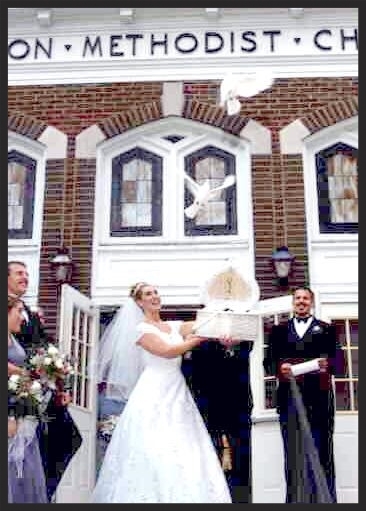 Release of white doves is a heavenly sight your family and guests will remember for a lifetime. For all the special moments in your life remember "Show Me Doves".